Do you want to transform your backyard into your own personal oasis where you can go to kick back and relax? Then you should strongly consider taking your in-ground pool to the next level by adding a waterfall. 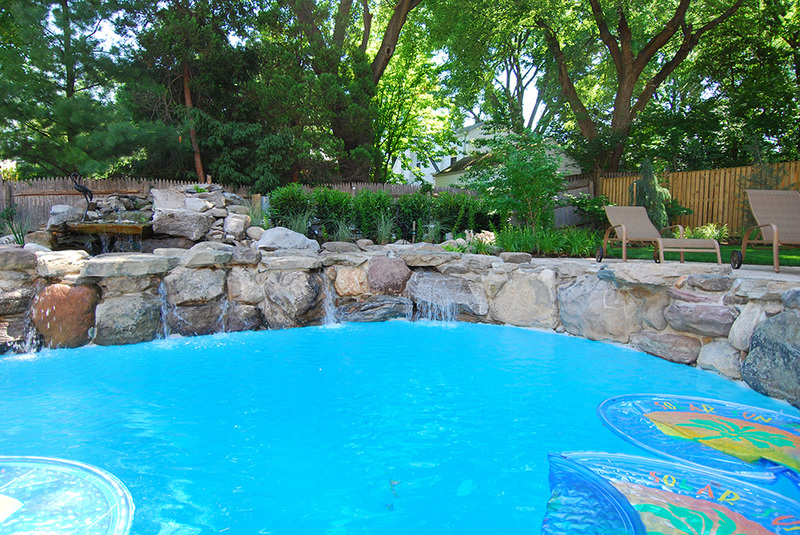 Pool waterfalls have become very popular in recent years because they enhance the aesthetic of in-ground pools. 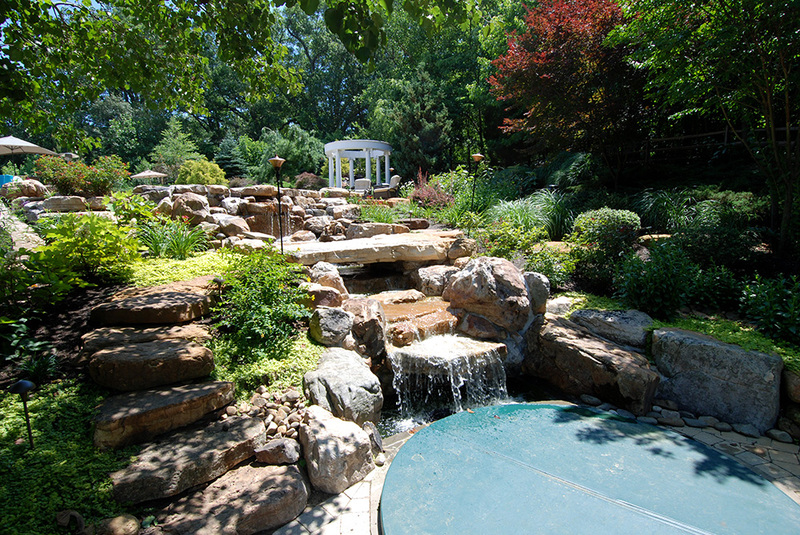 With the right pool waterfall design, you can completely transform the feel of your entire outdoor space. VistaPro Pools & Spas specializes in building and repairing in-ground pools and spas, and we have experience adding features like custom pool waterfalls as well. If you are planning on having a custom in-ground pool put in, we can top it off with a waterfall that will complete the look and make you glad that you decided to install it. Outside of looking nice and making your pool more peaceful and serene, there are quite a few benefits that come along with pool waterfalls. There so many different kinds of pool waterfalls that you can install in a custom in-ground pool. When you work with VistaPro Pools & Spas, we will help you pick out the pool waterfall design that will work best for your specific property. 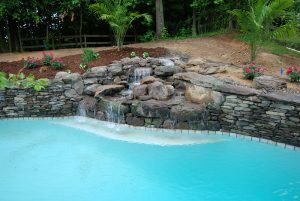 We will also show you our portfolio of past custom pool waterfalls we have done in the past so that you know what to expect from us. 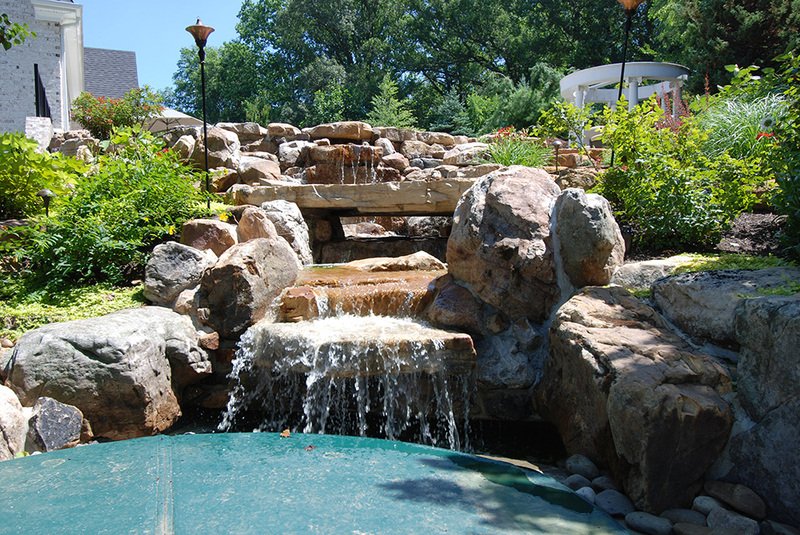 Once we’re finished installing your new custom pool waterfall, you will be blown away by just how beautiful it is! If you’ve thought about having an in-ground pool put in or you want to add a waterfall to your pool design, what are you waiting for? VistaPro Pools & Spas can make your dreams come true. 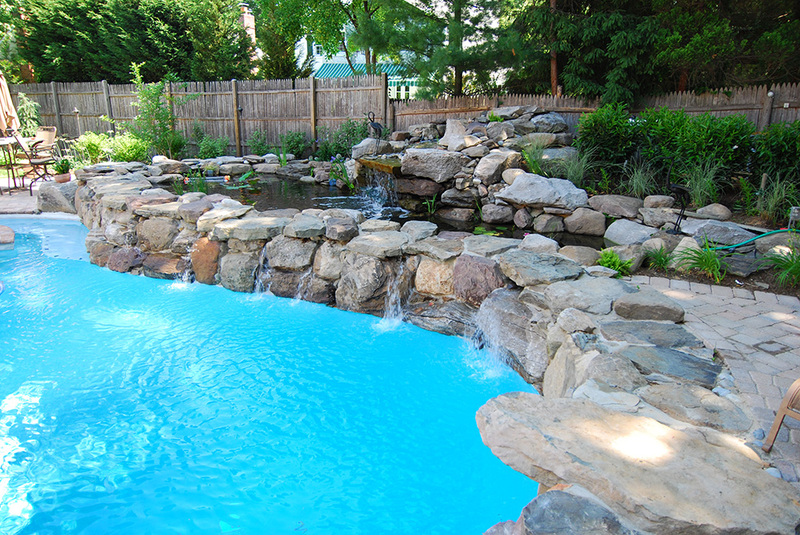 We can help install pool waterfalls for residents throughout the Maryland and Washington, D.C. areas. Call us at 301-805-0119 today to start planning your new waterfall.